For this year’s annual campaign, Nutrition Month invites us to discover the power of food. Of course, food has the power to nourish, prevent some chronic diseases and promote healing. Did you know it also has great rallying power? Not only does eating together provide a wonderful excuse to gather as a family or with friends, but it also has a host benefits. •	Eating as a family, especially when it’s done on a regular basis, is closely linked to a healthy and nutritious diet. •	Children and adults who frequently eat together also tend to consume more fruits and vegetables. What a great bonus! •	Family mealtime is the perfect setting to encourage new food discoveries and introduce healthy eating habits. •	This special time also facilitates discussion, listening and sharing between family members and creates tightly knit bonds! •	Also, eating meals as a family has a positive psychosocial impact. Children and teens who eat with their family often, perform better at school and are less likely to develop eating disorders and take up risky behaviours such as taking drugs, drinking alcohol and smoking, among other things. Make it a regular event! •	Insist that being present for a family meal isn’t optional and on the fact that, when everyone is at home, the family sits down for a meal together. Non-negotiable! 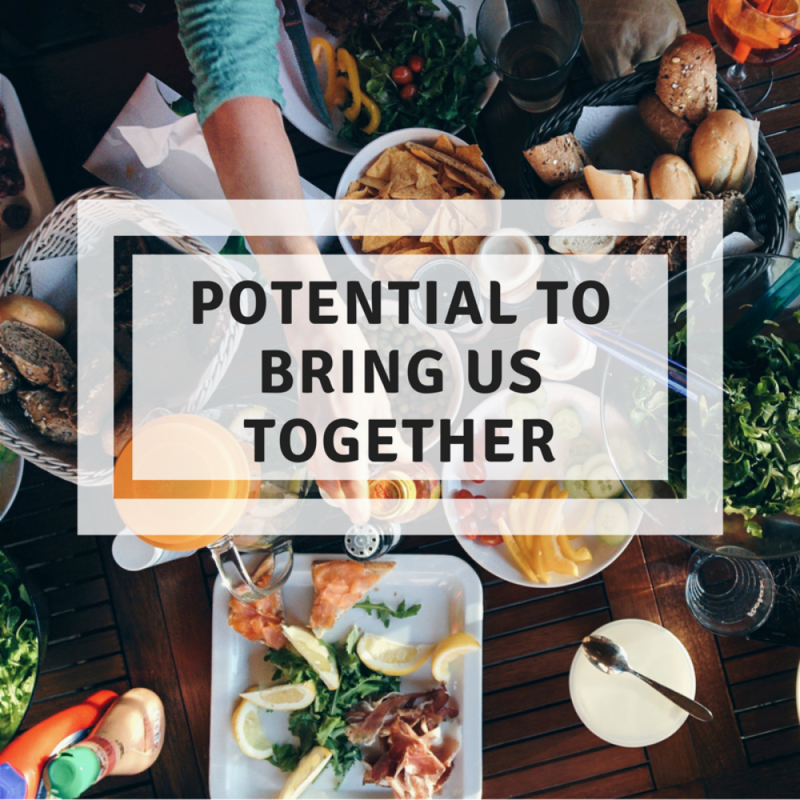 •	Remember that every meal you eat together is important. Family dinners are great, but shared lunches and breakfasts have just as much impact. •	Indeed, the benefits of eating together will become apparent from just four shared meals a week. It’s possible! •	For those who find sharing four meals a week a big ask, I recommend starting with a Sunday meal. It’s a great time to talk about what we enjoyed about our weekend and plan for the coming week. To fully enjoy the benefits of a family meal, try to maintain a pleasant atmosphere at mealtime. So, it’s not the best time to resolve conflicts! And, while you may sit down to share a delicious, healthy meal with all members of your family, if half of them are busy answering texts, the entire exercise is moot! Make sure everyone’s smart devices are turned off to limit sources of distraction during meals. Devices not only undermine the quality of communications, but they also interfere with our satiety signals. Life can be a whirlwind. Why not rebrand mealtime as an occasion to treat yourself, relax and have a good time with your loved ones? Happy Nutrition Month!